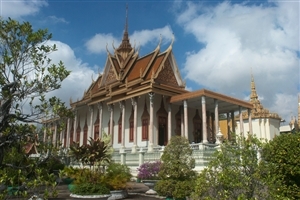 Once regarded as one of the most stunning cities in the Far East, Phnom Penh is a destination packed with colonial charm, and one seeking to put its recent turbulent past firmly behind it. 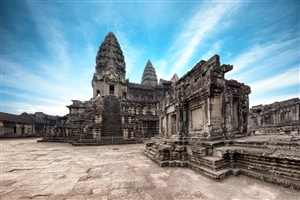 This five day trip provides the opportunity to fully explore the Cambodian capital before heading taking a flight to Siem Reap to visit the temples that are seen as a symbol of the Asian nation and are hugely significant to its people. Arrive in the Cambodian capital; a city packed with charm where there is ample opportunity to reflect on the history of years gone by – both good and bad. 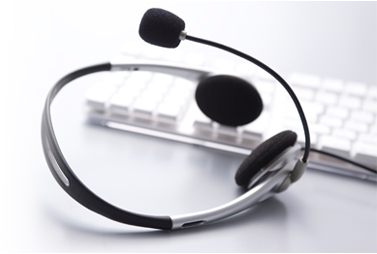 On arrival, you’ll be greeted by an English-speaking guide who will help you reach your hotel for check-in. Following breakfast, there is the chance to explore a darker side of Cambodian history with a visit to the Tuol Sleng Genocide Museum. Previously a school, the building was turned into a detention and torture centre by the Khmer Rouge and is grim reminder of the struggles that the Cambodian people faced in the not-too-distant past. Further examples of a difficult period in the history of the nation is to be found on a visit to the Killing Fields of Choeung Ek, where an audio guide will share stories from those who were lucky enough to survive their time in the camps. After a break for lunch, at your own expense, you’ll then have chance to explore Phnom Penh in more detail from the back of a Cyclo, a traditional form of transport commonly found in the city. Visit sites like the famous Wat Phnom temple and the Royal Palace, home of the famous Silver Pagoda, before heading for the waterfront where you can simply sit back and watch the locals going about their business. Following breakfast, you’ll leave your hotel and head for the airport to take a flight to Siem Reap, where you’ll then be greeted by your guide and taken to your hotel to check in. After some time to refresh, the afternoon is then set aside for a trip out onto the Tonle Sap Lake; the largest body of freshwater to be found in South East Asia. Your local boast will take you past floating houses and flooded forests as you head to Kampong Phluck; a village where homes are built on stilts that become submerged when the size of the lake increases during the wet season. Due to low water levels during the dry season, the boat trip is only possible from June to March. 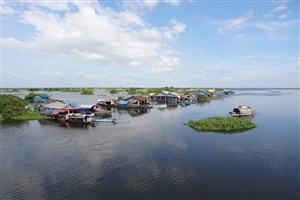 However a visit to an alternative floating village at Chong Kneas can be arranged instead. 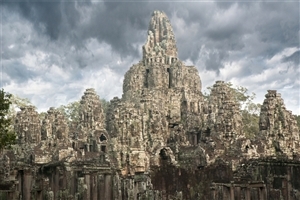 Today you’ll have chance to visit the famous ancient city of Angkor Thom; the last capital of the Great Khmer Empire. Entering the walled city and admiring the impressive carvings of the South Gate, you’ll then head to the 12th century Bayon Temple to marvel at the 54 towers that represent the 54 provinces of the empire. You’ll then visit the temple at Ta Prohm, which has become overgrown with jungles trees and is largely as it was found before returning to your hotel for a break. In the afternoon, you’ll then head out to explore some of the most famous Angkorian temples, including Angkor Wat – the ancient building that symbolises the soul of the Khmer people and is a feature of the Cambodian national flag. Your visit will coincide with the Golden Hour to ensure you catch the Apsaras dancers that decorate the temple gleaming in their best light. You’ll be given time at leisure to either relax in your hotel or to spend some time exploring the delights of Siem Reap with its numerous markets before leaving for the airport to board your departure flight.